In the year 2155, the former United States of America groans under foreign oppression. One hundred years after the Chinese Communist takeover, fifty million Chinese immigrants run the country and enjoy a long list of special privileges. Six hundred million Americans labor for the occupying power and dream of a hero who will end the nightmare. Soon Josh is traveling alone, spreading the message of Jack about the coming of the new nation. To the poor, the message sounds like hope. To the Chinese it sounds like treason. To the terrorists who fight the Chinese, known as Washingtonites, it sounds like good propaganda. 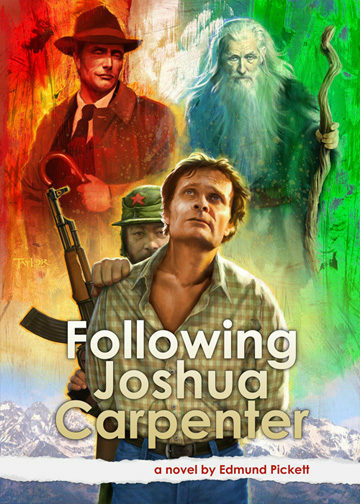 Soon the government and the rebels both put Joshua Carpenter under surveillance. As he walks from town to town a scruffy band of losers begins to follow him: two unemployed fishing guides, a guitar player, a whore, two drunks, a former tax collector, and worse. Then the Chinese arrest Jack The Washer. Knowing that he will likely be next, Joshua does the one thing no one expects. He hitch hikes 2,000 miles with all his followers, arriving in Washington, D.C. on July 3rd, the day before the old American Independence Day, now banned, the one day in the year when the Chinese will absolutely not tolerate any treasonous talk about a new nation.